Discussion in 'Superhero Products' started by The Avatar, Apr 5, 2006. That's sweet. I wonder how much they paid for that. It's on loan from SOTA, they have it untill next SDCC. That display rules but no Bison? that's really all you have to say about it? no bison? 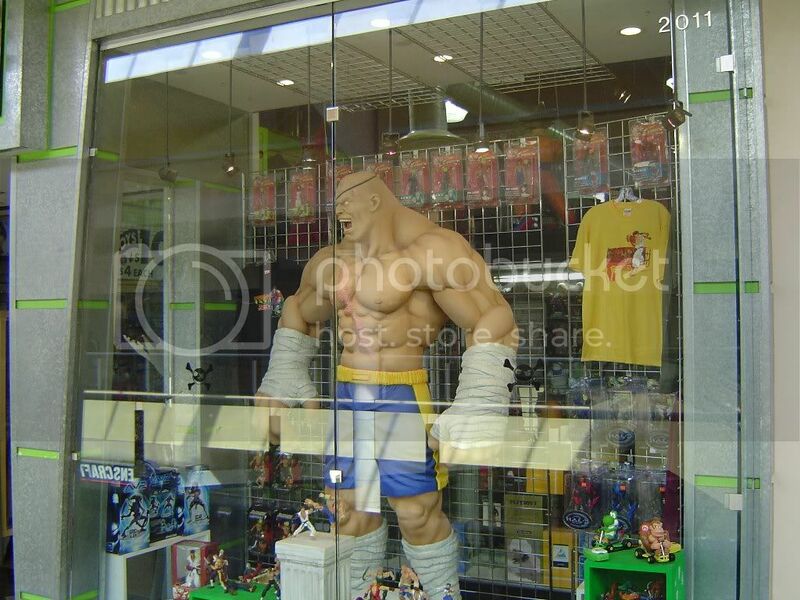 Why does Sagat have one arm detached and one arm not? Is he an animatronic or something? 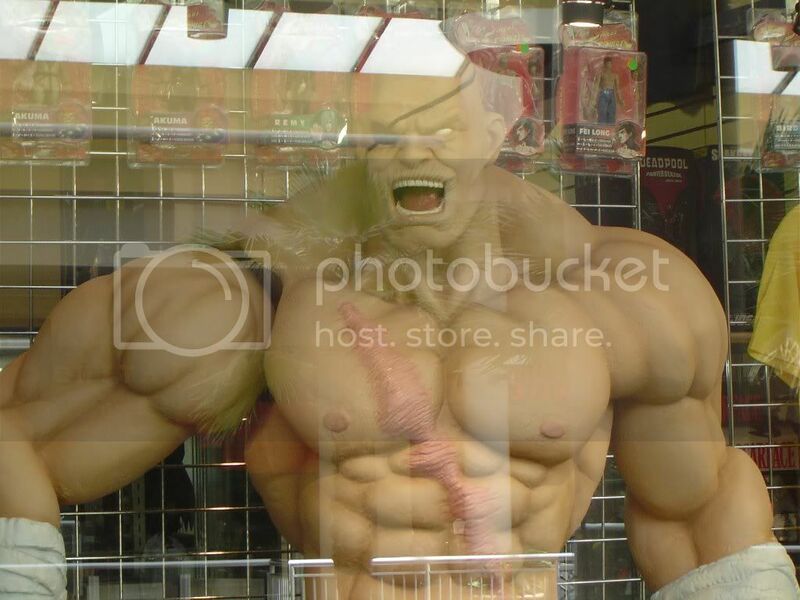 ...I want an Akuma...so bad. 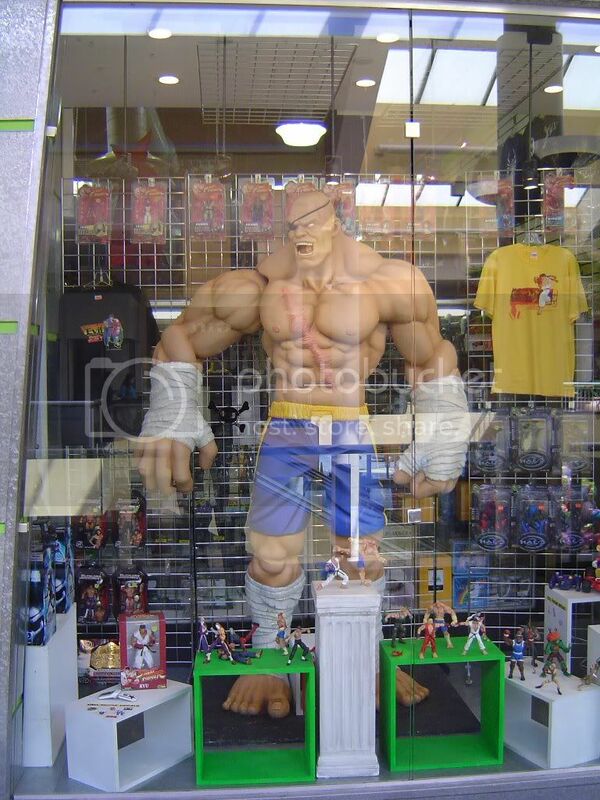 sidenote: anyone know where i can get the series 1 bison figure? I posted those pics, too cool! Hey fceeviper, you know where I can score a Scarring Blow 2-pack??? I need that like crack man!!!! 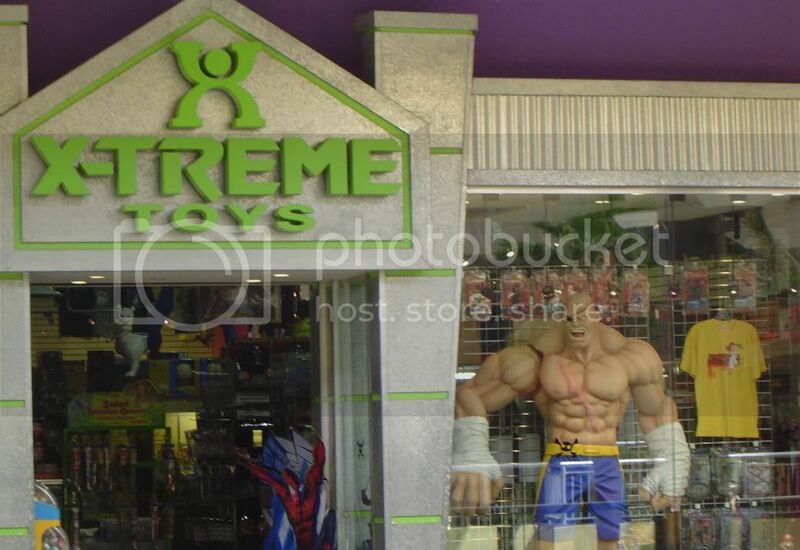 I wish we had an X-treme toy's out here. Where do ya'll get your SF figs? I have never seen one. 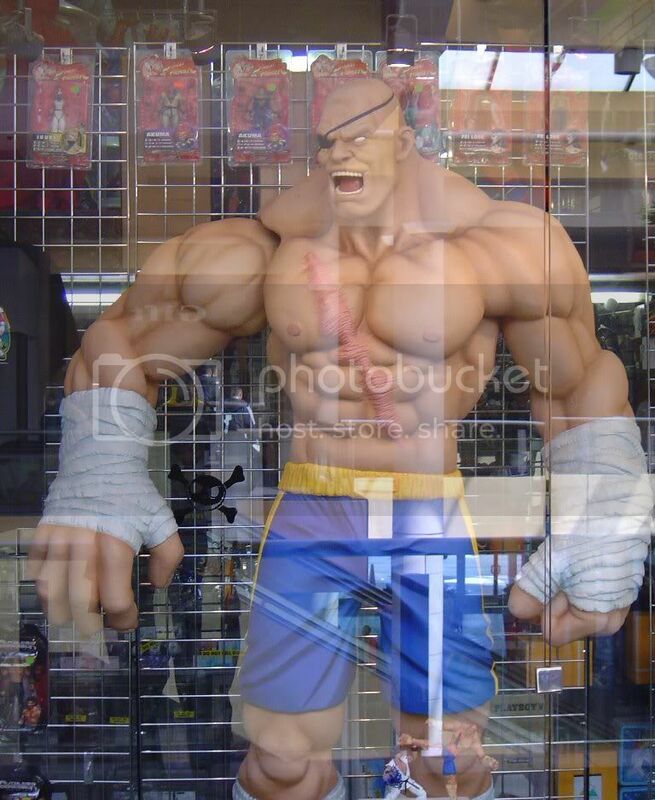 eBay Search "SOTA Street Fighter"
I appreciate the link fceeviper. frank miller is an idiot. the riddler is so much more dangerous then al qaeda.